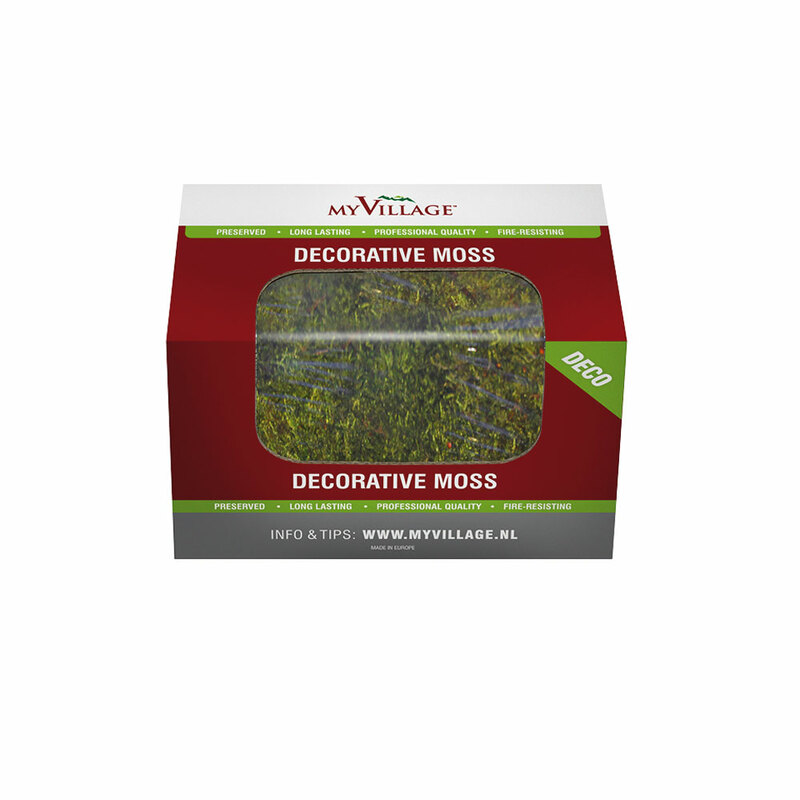 MyVillage™ Decorative Green Flat Moss (50g Box) from the range of scenic accessories that fully compliments the Lemax Collection Christmas village range. 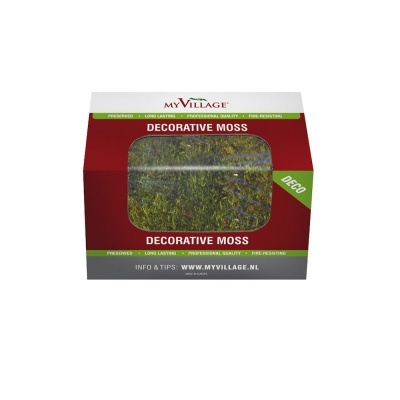 This ready-to-use decorative moss material is flatter than reindeer moss for creating low level grass foliage effect landscaping in Lemax displays, and is suitable for permanent fixing with MyVillage™ Sprayglue or other scenic glues. Flat Moss adds natural realism to your display as either permanent or temporary decoration.